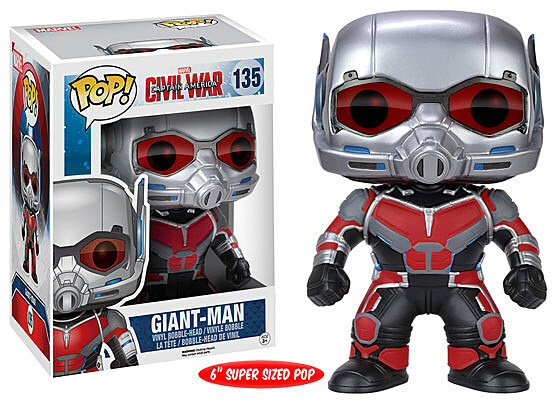 The greatest challenge the world faces today is the overpopulation of Funko Pops. Soon we will all be outnumbered by the little plastic caricatures, and there will be no one left to stop the invading masses of collectible characters. But that's a problem for tomorrow's children's children to solve. I'll be dead by then, and right now there's a lot of Funko figures to collect. Funko officially revealed the release window for the next wave of Marvel Pops, a few of which were teased during Toy Fair last month. Finally, Captain Marvel will be able to rally the baby bobblehead version of the Carol Corps. The unmasked version being the default means there's plenty of room for a helmeted variant down the line, too. She'll be joined by Marvel's newest leading lady du jour, Spider-Gwen. The world needs more Captain Marvel and Spider-Gwen figures. It's a plain and simple fact, and one only a handful of companies seem to recognize. Of course, the real star of this upcoming batch is the de facto leader of A-Force/legal counsel for Hellcat, She-Hulk. Unlike her counterparts, She-Hulk's actually had a number of action figures prior to the last year. Unfortunately, they come at a premium these days, as secondary markets have skyrocketed the price on the hard-to-find Hulk. Even though this version isn't articulated at all, paying $10 for a She-Hulk in her perfect purple singlet is way better than dropping $90 for one that poses a bit more. In addition to the three ladies, three classic comic versions of Doctor Strange, Falcon and Doctor Octopus are also due to arrive. All three look great, and it's nice to see we're getting a Doc Strange in his more iconic form before the movie arrives. Bowl-cut Doc Ock will forever be the greatest Doc Ock that ever lived, so it's nice to see Funko has seen the light. I wish his goggles were a bit more sharply angled, but I'll take what I can get. 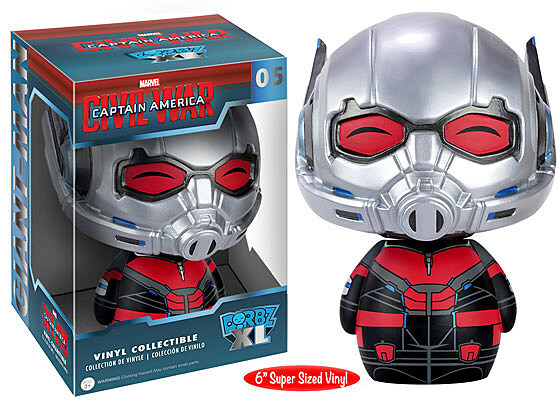 There are also two new figures coming from the Pop and Dorbz line to tie into Captain America: Civil War, but as they're a bit spoilery, we're merely going to link to each of them above. Click at your own peril. The six Pops are all set to arrive in June, and will retail for ~$10 each, while the two mystery figures should be arriving at retail now.